Snapchat: the photo-messaging app has launched an ad-supported content service called Discover. Last week, the photo and video messaging app Snapchat launched its ad-funded Discover service. Meanwhile, the mobile messaging app Whatsapp, with more than 600 million users, is now linking up to the web with a desktop app for Chrome and Android users. This will boost its presence, allowing users to continue their mobile chats on their desktops at work. While Whatsapp has always eschewed advertising, Facebook, its owner, will at some point look to monetize the $19 billion investment it made in 2014. As Sheryl Sandberg, Facebook’s chief operating officer, told a Cannes session last year: "We are not planning to roll ads into messaging." But she added: "Would I want to receive a one-to-one message from a brand or a product or a service I like? Absolutely." At the same time, messaging services such as Kik, LINE, China’s WeChat and South Korea’s KakaoTalk are taking off, each dangling their own carrots to brand owners. LINE and WeChat could start making headway in the UK. Meanwhile, established social media networks are in decline. Facebook’s active monthly users plummeted by 9% last year, according to GlobalWebIndex, while smaller services such as Pinterest and Tumblr saw the strongest growth. And research from Ofcom found social media usage is shrinking in the US, China and Japan, while, in the UK, the number of adults accessing sites fell by 9% in 2014. As Tom Ollerton, the marketing director of We Are Social, notes: "Communication flows like water; it will follow the path of least resistance." He predicts that, as social media services become more crowded (with ads contributing to this) and the "noise to signal" ratio increases, people will seek out simpler, clearer platforms: "There is an inevitability that communications will always follow the easiest route. The most likely route is instant messaging." Snapchat is preparing for a huge expansion of its advertising with the introduction of Discover, featuring media from big-name publishers and content created in-house. Last month, it was revealed that Snapchat was looking to charge $750,000 a day for disappearing ads in users’ message streams in the US. Iain Matthews, the planning director at Jam, points out that people use both social media and messaging apps, but for different purposes. He says: "Messaging is one-to-one or one-to-few, where social media is one-to-many and much more public. That’s why the young gravitate to messaging apps, because they are much more personal." On Snapchat, Matthews says that people follow celebrities and sports stars, and that only a few brands with asso­ciations to these have the licence to have a presence there. Brands that get it wrong risk facing a backlash. He adds that, while $750,000 for a day’s advertising may sound extortionate, it may be a viable sum given the platform’s 100 million user base. However, according to Matthews, the "Super Bowl of messaging apps" offers little in the way of targeting or segmentation. Brands looking for the next big thing will be paying close attention to developments in the world of messaging apps. 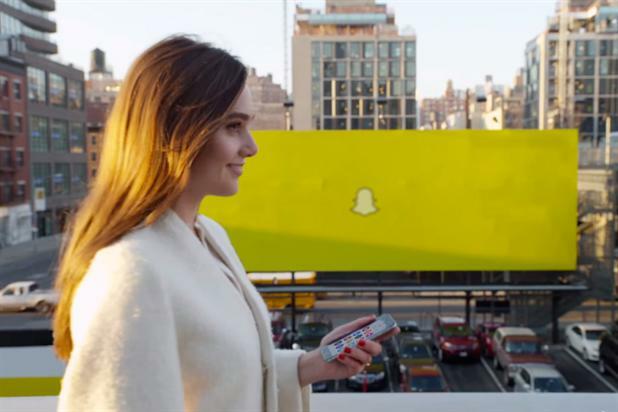 But they need to take care that their budgets do not disappear along with the Snapchat ads. Is it time for brands to take Snapchat seriously?